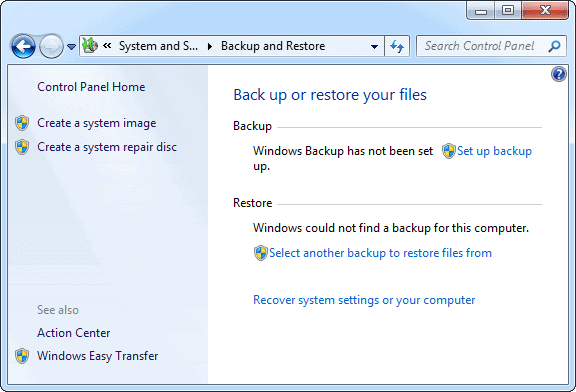 Windows system images are an important recovery option for any PC user. System images don’t just backup your basic OS, they back up drivers, system settings, programs, and files. 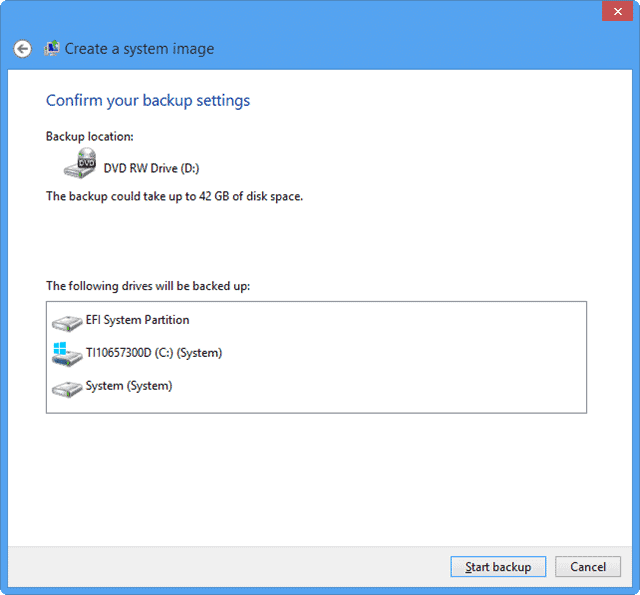 This is a complete backup for your Windows OS, and we’ll show you how to create system images for Windows 7 and 8. 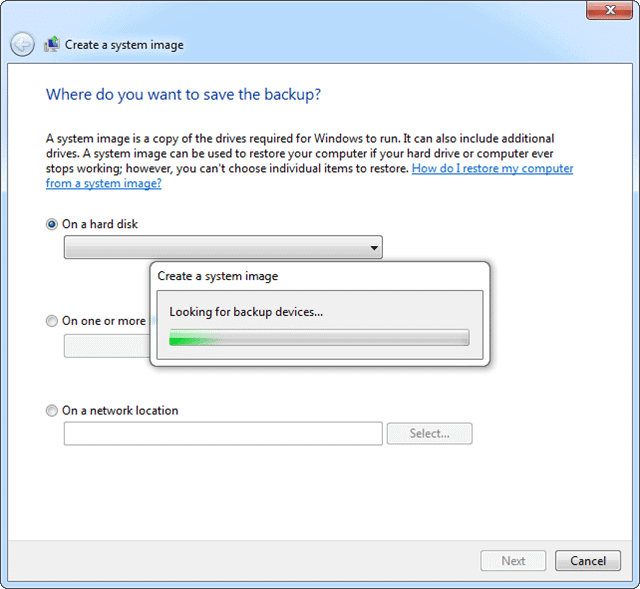 While a system image will backup your folders and files, it only does this at the time of the system image creation process. Anything you modify or create afterward will not be updated in the system image. Make sure you’re continuously backing up your files and folders either through the cloud or removable media. 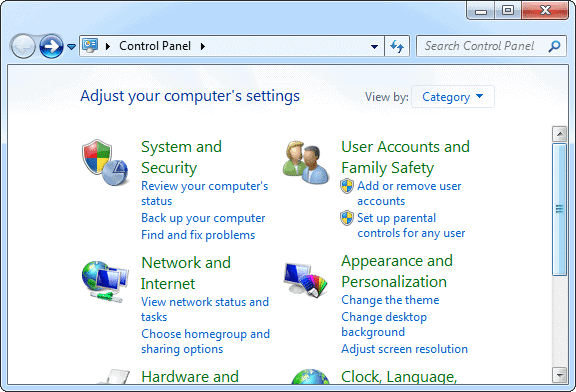 Open up the “Control Panel” in Windows 7 however you normally do it. Once open, click on “Back up your computer” under the System and Security header. Your computer will search for eligible locations to create your system image. 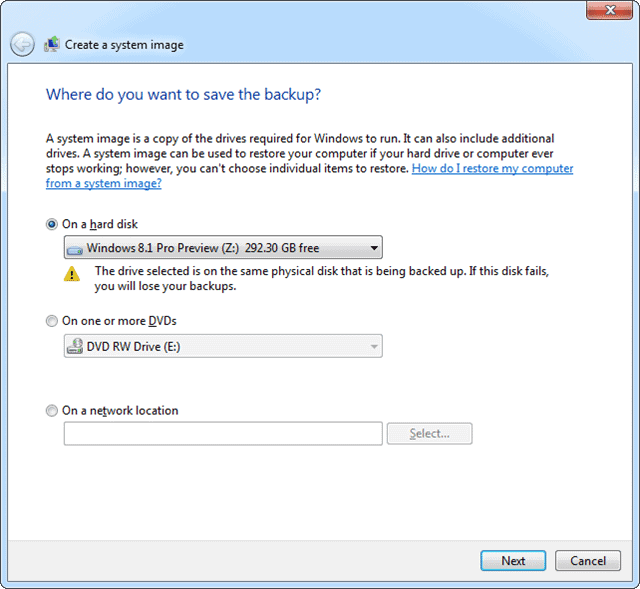 System images in Windows 7 can be created on DVDs, on a network location and on a partition. However, the latter isn’t the best option because if your hard drive crashes, it renders the system image useless. A DVD or external drive is a better option. You’ll be warned about any issues with creating your system image. In this case, I was warned that the partition selected was part of my hard drive which is the concern I mentioned above. You can select any of the options to save your system image. Select one and click “Next” to continue. 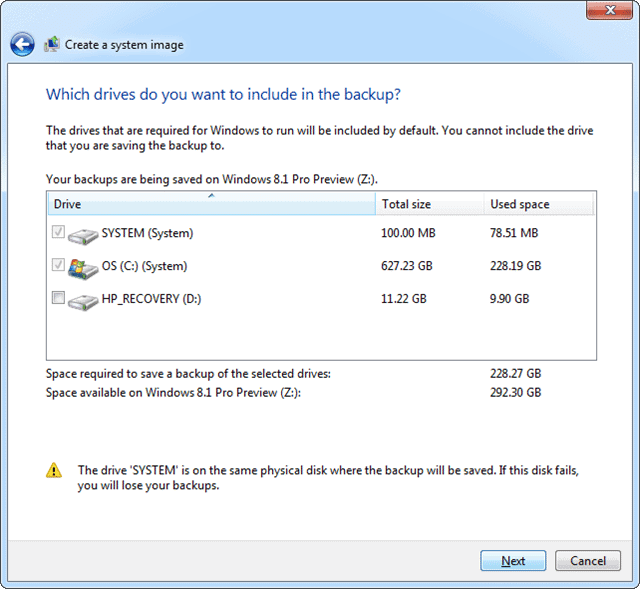 You’ll be told what drives are included in the backup and given the option to add one’s Windows deemed unnecessary. You’ll be told how much space you need to save the image, along with how much space is available in your backup location. Again, you’ll be warned if you picked a location on the same hard drive. System image creation can take upwards of an hour or more to finish. You don’t want to use your PC or do anything at all on it until it’s complete. Windows 8 also allows users to create system images and for the most part, the steps are the same. 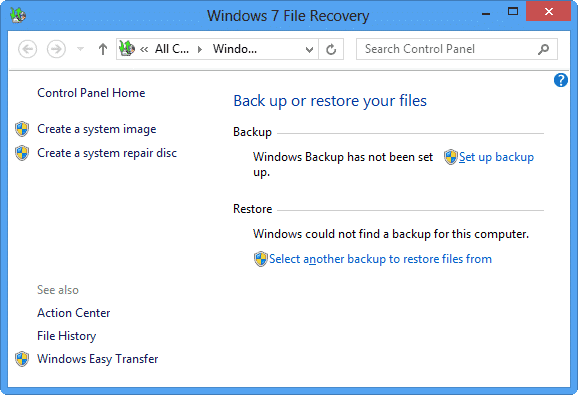 Click on “Windows 7 File Recovery” to continue. Now, click on “Create a system image” on the left-hand side of the window. 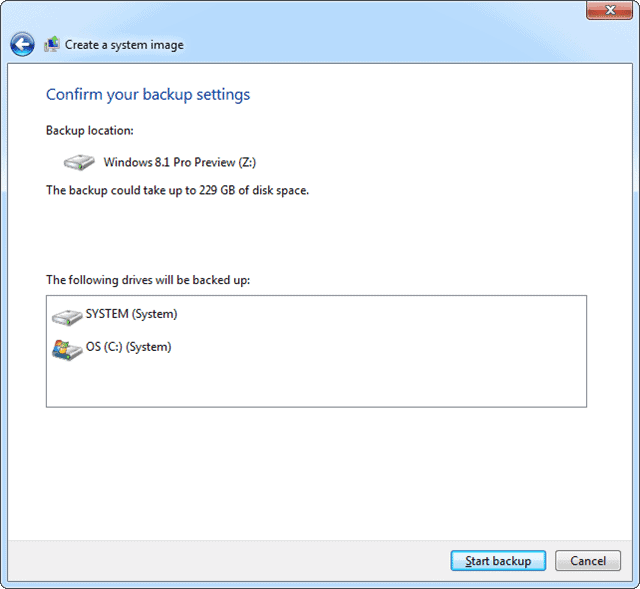 Windows 8 will look for backup locations to save your system image to. Unfortunately, Windows 8 doesn’t allow users to save system images over network locations anymore. You can still choose to save your system image to a hard disk or DVDs. Windows 8 will automatically pick what’s included in its system image, you have no say over it. 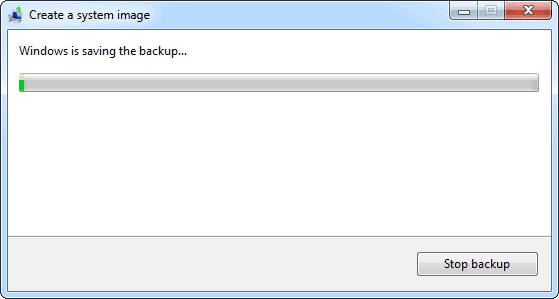 When you’re ready, click “Start backup” to start the process. Just like with a Windows 7 system image, it’ll take some time to create it. Walk away from your computer and let Windows 8 do its thing. When it’s finished, Windows 8’ll let you know and you’ll be set to recover Windows this was if you ever need it. 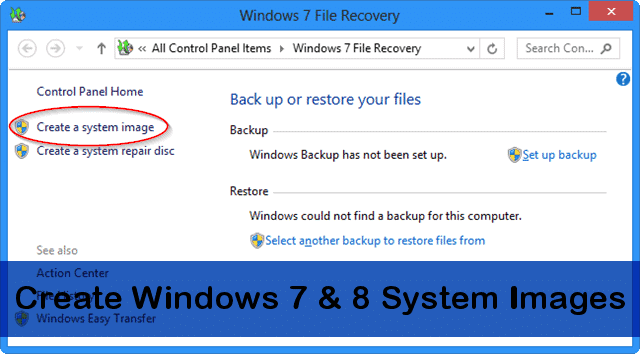 Creating a system image for your Windows PC whether you use Windows 7 or Windows 8 is essential if you never want to mess with restoring or reverting to factory settings. System images makes getting your PC back in shape easier, no matter what goes wrong. 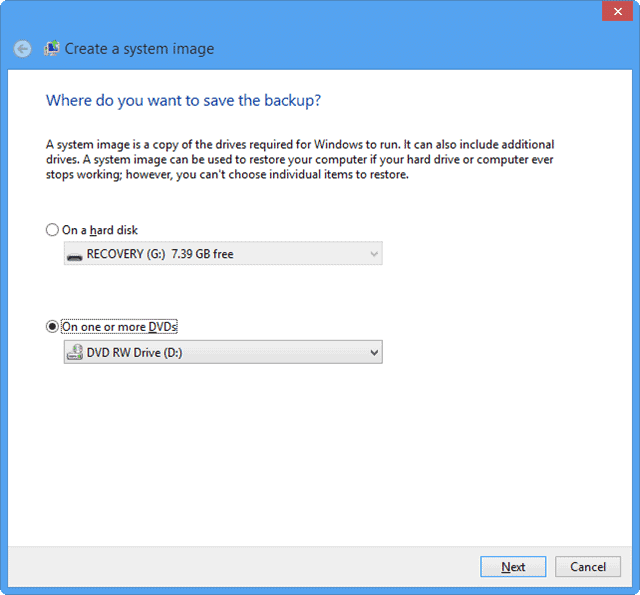 Want to backup the data for your Windows 8 Apps? Check out how it’s done here.